A saddle I bought off Ebay. 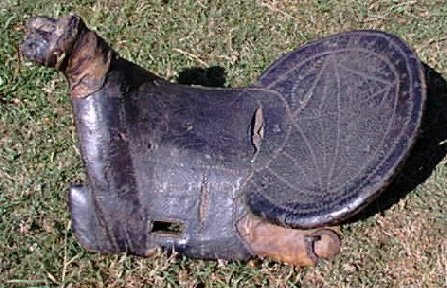 Sold as "Old Southwest Saddle". Unfortunately, no provenance or anything else came with it. 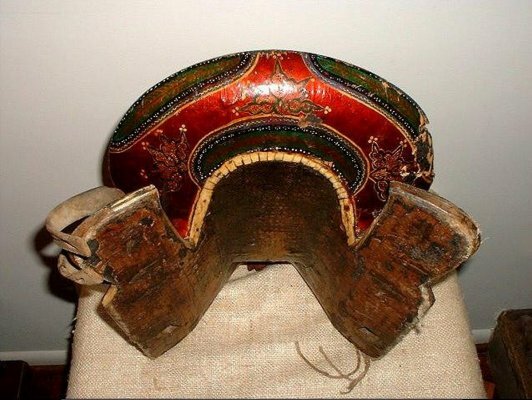 The leather and rawhide are very dry and cracked in places. There is a pattern of small nails decorating the seat and repairing some of the rips in the leather. Without removing them, I'm not sure whether they are hand made or machine made. The rings on the sides are hand forged. 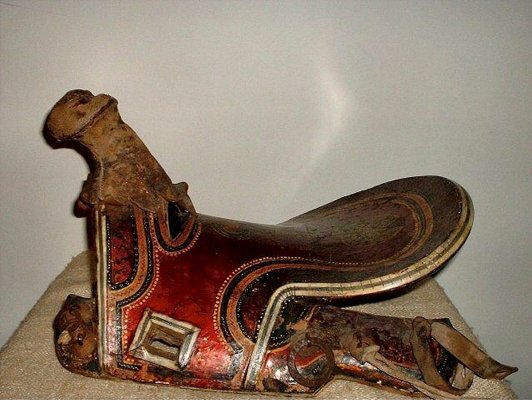 Notice the similarity to the "Slavic" saddle, and these "modern" middle eastern/steppes saddles. 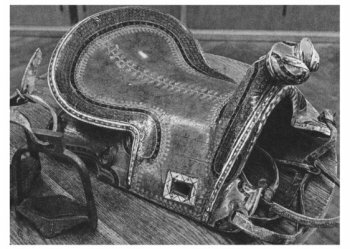 A "slavic" saddle from a book. 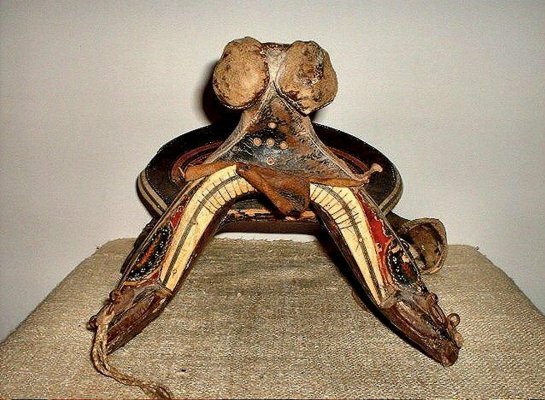 the caption says it is 13th century but I think it is probably 17th century. 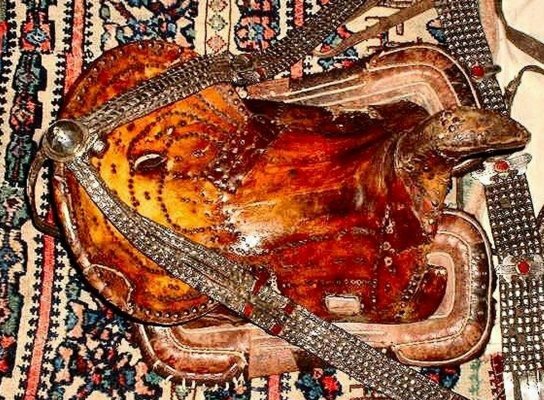 A "tekke-turkeman" saddle sold on ebay. 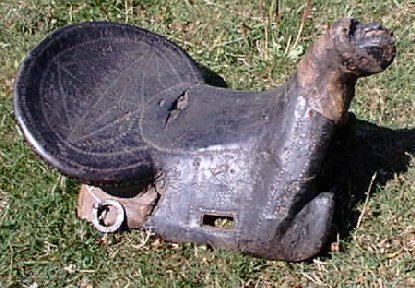 A "bokara" saddle sold on ebay.